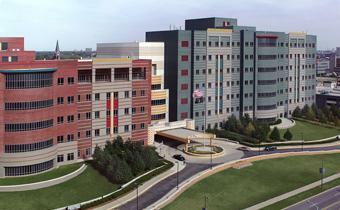 The John D. Dingell VA Medical Center is a 108-bed full service medical center that provides primary, secondary and tertiary care. The medical center provides acute medical, surgical, psychiatric, neurological, and dermatological inpatient care. Primary care, medical and surgical specialties are also provided by the VAMC as well as mental health clinics that include substance abuse treatment, a day treatment center, and a community based psychiatric program with the goal of maintaining patients in their home community. The medical center also operates an 109-bed nursing home care unit and a Health Care for Homeless Veterans (HCHV) program. The medical center administers two contract Community Based Outpatient Clinics (CBOC) located in Yale, Michigan and Pontiac, Michigan as well as four Veteran outreach centers in Dearborn, Detroit, Macomb County, and Pontiac. The VAMC serves approximately 330,994 Veterans in Wayne, Oakland, Macomb and St. Clair counties. The Detroit VAMC was awarded a new Domiciliary Residential Rehabilitation Treatment Program which is situated off-site within 10 miles of the medical center. Organizationally, this program is under the Health Care for Homeless Veterans Program in Mental Health Services. The four-month program houses approximately 50 chronically homeless Veterans in VISN 11. It focuses on successful reintegration of these Veterans into the community. At the John D. Dingell VA Medical Center we have a strong and diverse program of research with a FY2008 budget of $3.8 million in VA grant funding. Our investigators and their associates focus on basic and clinical research in a wide variety of areas including aging, neuroscience, cancer, cardiology, endocrinology, gastroenterology, hypertension, infectious diseases, pulmonary diseases and sleep disorders. There is a well-developed spirit of cooperation among basic and clinical investigators as well as excellent support from our Veterans Integrated Service Network (VISN 11), from the medical center administration, and from clinical and support services. Our medical center is affiliated with Wayne State University School of Medicine resulting in further opportunities for scientific collaboration and interaction with faculty, students and post-graduate trainees in many fields. All investigators have faculty appointments in the medical school. The John D. Dingell VAMC is affiliated with the Wayne State University School of Medicine and supports 75.2 resident FTE. Other major training programs at the medical center include Audiology & Speech Pathology, Dietetics, Nursing, Psychology, Rehabilitation Medicine, Social Work, Surgical Auxiliaries and a Compensated Work Therapy (CWT) program.